QPRSX… sounds like a bad hand at Scrabble…rather nice Apple Green SX outside Loftus Road. 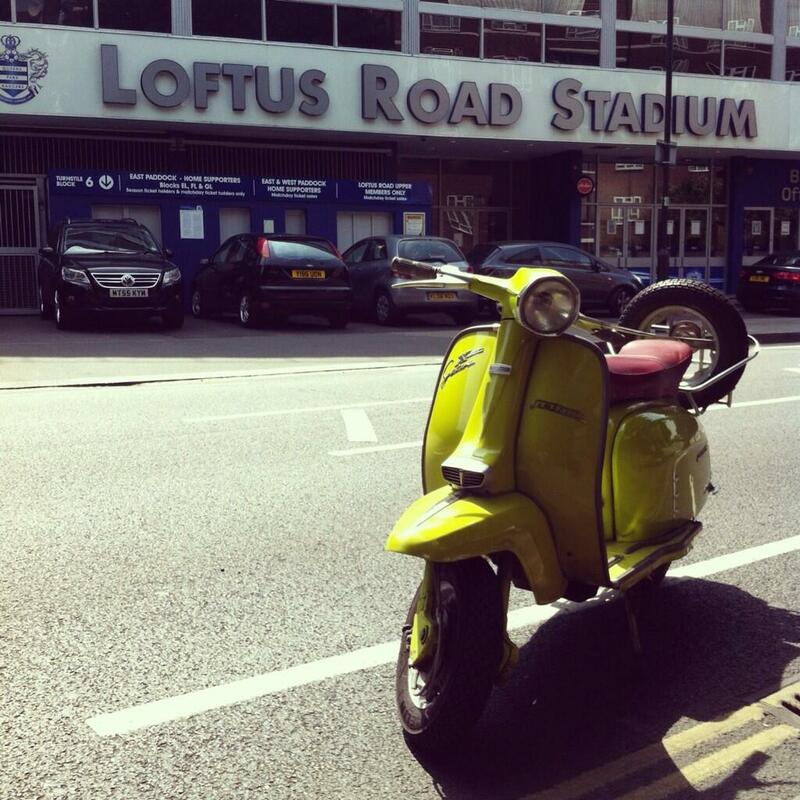 This entry was posted in Lambretta Imagery, Scooters and tagged QPR, Queens Park Rangers, SX, SX150, Verde Mela by crocodilejock. Bookmark the permalink.